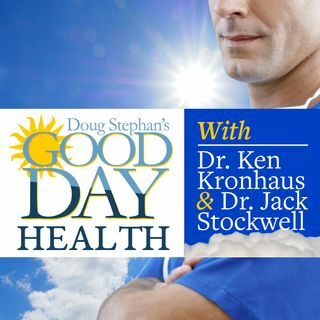 Host Doug Stephan and Dr. Jack Stockwell http://www.forbiddendoctor.com review a new study that reveals why we have such a hard time stopping from biting our fingernails. Next, the myths and risks of Sunscreen Pills. Did you know that The Sun is not the cause of Skin Cancer? Then, Dr. Susan Hutchinson http://www.migrainex.net a headache specialist and board-certified family practice physician joins Dr. Ken and Doug to talk about a new earplug thet helps control weather-related migraines, before ... See More they start. Finally, learn how speeding up your daily walk can improve your health.